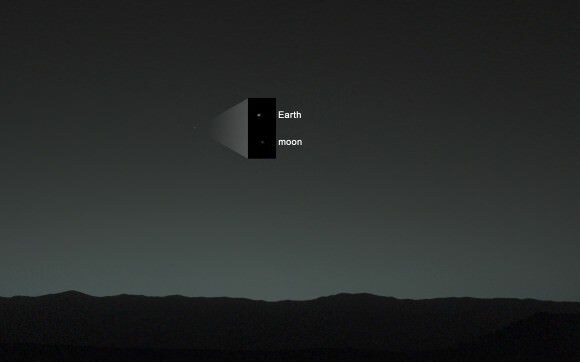 This evening-sky view taken by NASA’s Mars rover Curiosity shows the Earth and Earth’s moon as seen on Jan. 31, 2014, or Sol 529 shortly after sunset at the Dingo Gap inside Gale Crater. See more imagery of the Earth and Moon below! 18 months into her mission to discover a habitable zone on the Red Planet, NASA’s Curiosity rover has at last looked back to the inhabited zone of all humanity and snapped her 1st image of all 7 Billion Earthlings living on the Home Planet. 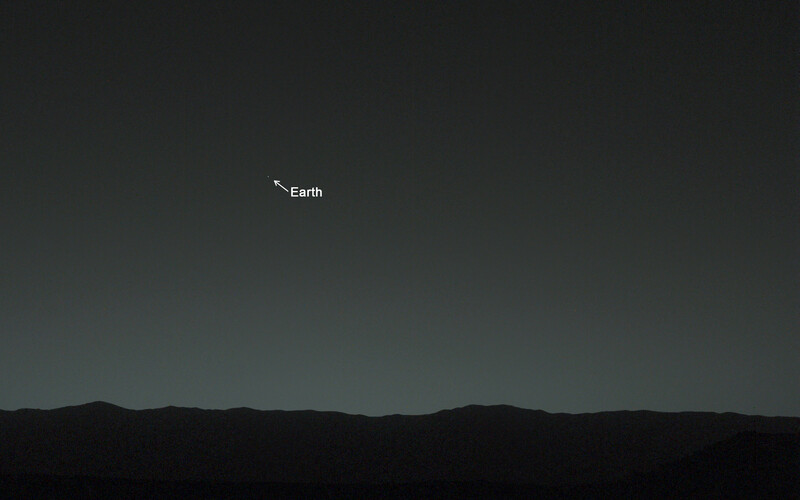 “Look Back in Wonder… My first picture of Earth from the surface of Mars,” tweeted Curiosity today. You are there! See yourselves in the spectacular imagery from the Red Planet’s surface at the ‘Dingo Gap’ inside Gale Crater – above and below. 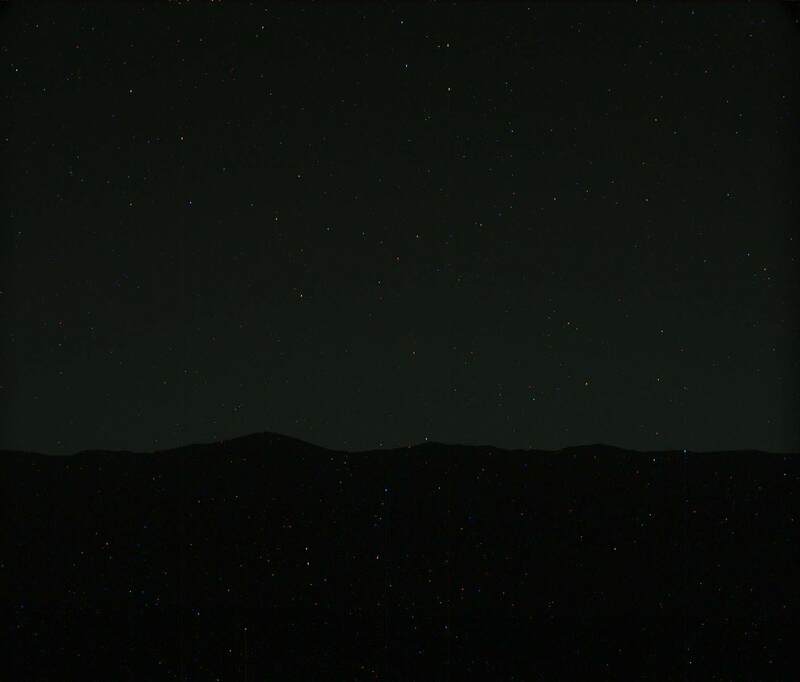 Car sized Curiosity captured the evocative image of Earth as an evening star in the Martian sky just days ago on Jan. 31, 2014, or Sol 529, some 80 minutes after sunset. And what’s more is that the evening sky view even includes the Earth’s Moon! “A human observer with normal vision, if standing on Mars, could easily see Earth and the moon as two distinct, bright “evening stars,” said NASA in a statement issued today. This photomosaic from Curiosity’s Navigation Camera (Navcam) taken at the edge of the entrance to the Dingo Gap shows a 3 foot (1 meter) tall dune and valley terrain beyond to the west, all dramatically back dropped by eroded rim of Gale Crater. 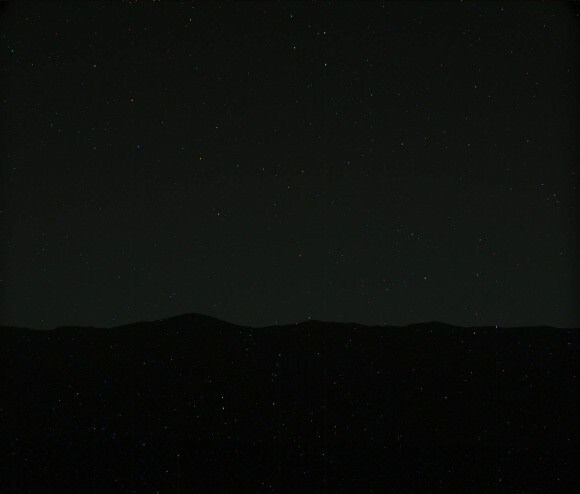 View from the rover’s current position on Sol 528 (Jan. 30, 2014). The rover team may decide soon whether Curiosity will bridge the dune gap as a smoother path to next science destination. Curiosity used both of her high resolution mast mounted color cameras to collect a series of Earth/Moon images flittering across the Martian sky. Processing has removed the numerous cosmic ray strikes – see raw image below. Right now Curiosity’s handlers are pondering whether to climb over the 1 meter tall sand dune and cross into the smooth terrain of the valley beyond the ‘Dingo Gap’ – as an alternate path to minimize damaging encounters with sharp edged Martian rocks that are puncturing holes and ripping tears into the robots six wheels. To be clear, these are not the first images of the Earth from Mars orbit or Mars surface. NASA’s Mars Exploration Rover Spirit imaged Earth from the surface in March 2004, soon after landing in Gusev Crater in January 2004. Two of NASA’s other Red Planet explorers also imaged Earth; Mars Global Surveyor in 2003 and Mars Reconnaissance Orbiter in 2007. More recently, NASA’s Cassini orbiter at Saturn spied the Earth and Moon during the Wave at Saturn event in July 2013 from a distance of 898 million miles (1.44 billion kilometers). The most famous and distant of all is the ‘Pale Blue Dot’ image of Earth taken by NASA’s Voyager 1 probe in 1990 from about 6 billion kilometers (3.7 billion miles) away. Meanwhile, NASA’s sister rover Opportunity is exploring clay mineral outcrops by the summit of Solander Point on the opposite side of Mars at the start of her 2nd Decade investigating the Red Planet’s mysteries. Next PostNext How Can We Find Killer Asteroids?